The criteria for what consumers want from a smartphone has never been simpler: display, camera, powerful guts and design. Every major flagship we've seen this year fits the bill to some degree. 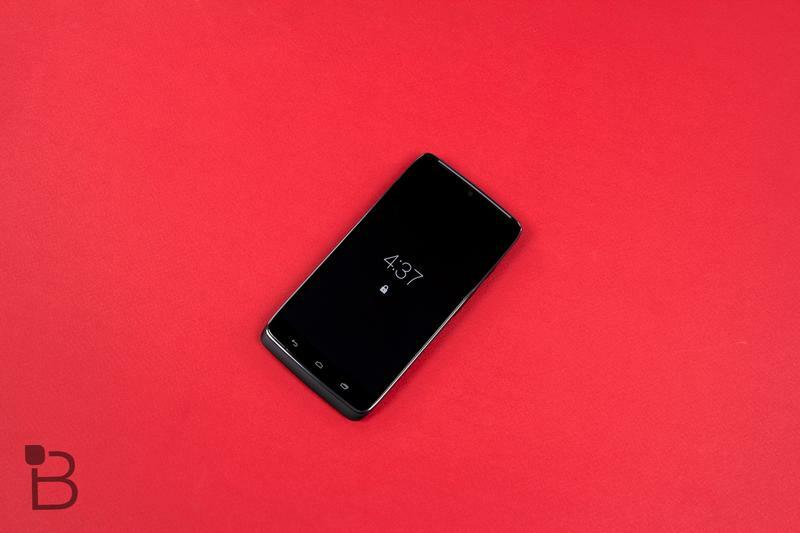 Somewhere along the line, however, in our pursuit for best and biggest, it's become increasingly rare to see these monster phones rock multi-day battery life. There are two or three exceptions that might get through a heavy workday. But, by and large, you'll be searching for an outlet sooner rather than later. 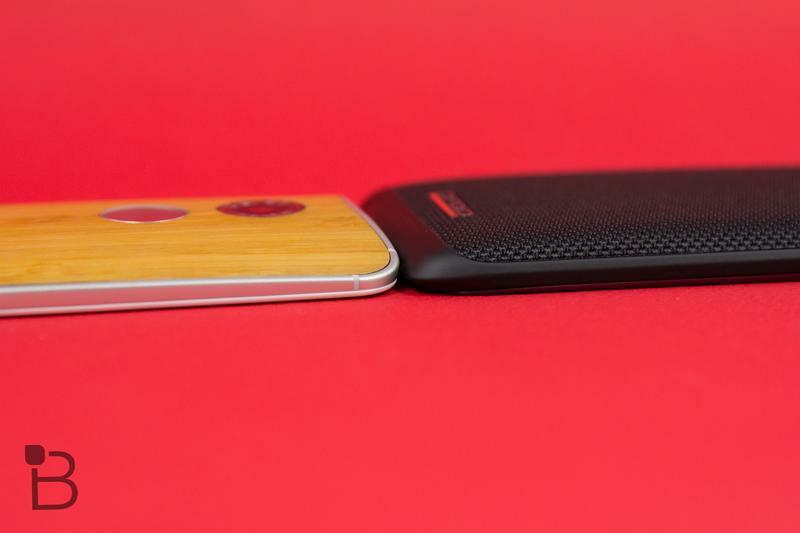 Motorola's new DROID Turbo is here to change that. In addition to having the 2K display, a cutting edge processor and high megapixel camera, the Turbo comes equipped with a monstrous 3900mAh battery. 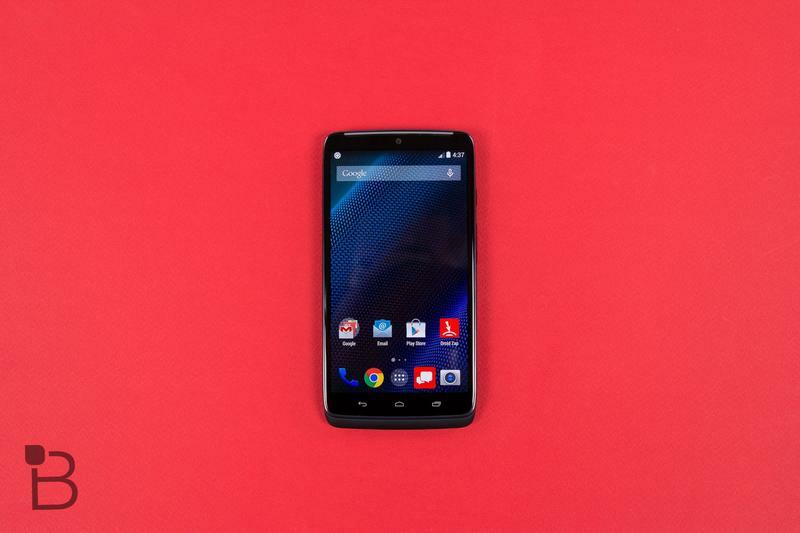 It's essentially this year's Moto X on steroids, and although it doesn't have a fancy design—not to mention it's a Verizon exclusive in the U.S.—the Turbo just might be the best Motorola device we've seen all year. That's saying a lot, especially considering how strong the company's lineup is. You want the latest specs and a titanic battery? You got it. 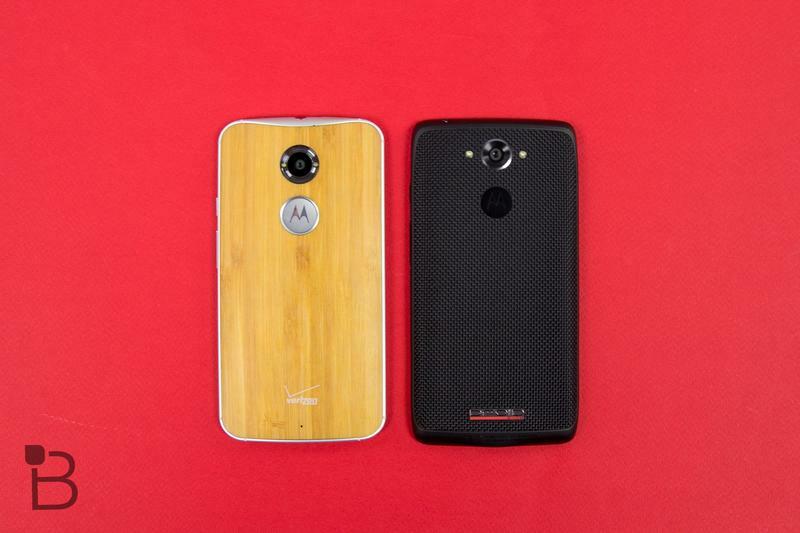 The DROID Turbo is the perfect combination of both. 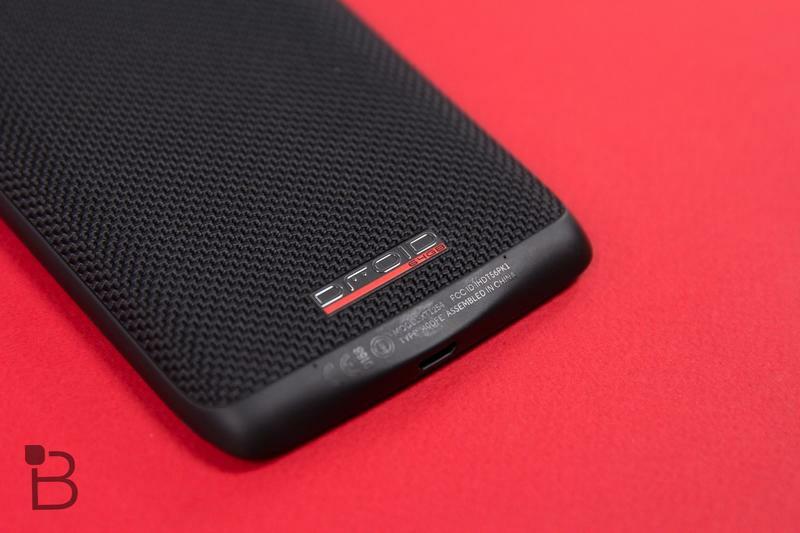 The DROID Turbo isn't what you'd call a beautiful phone. 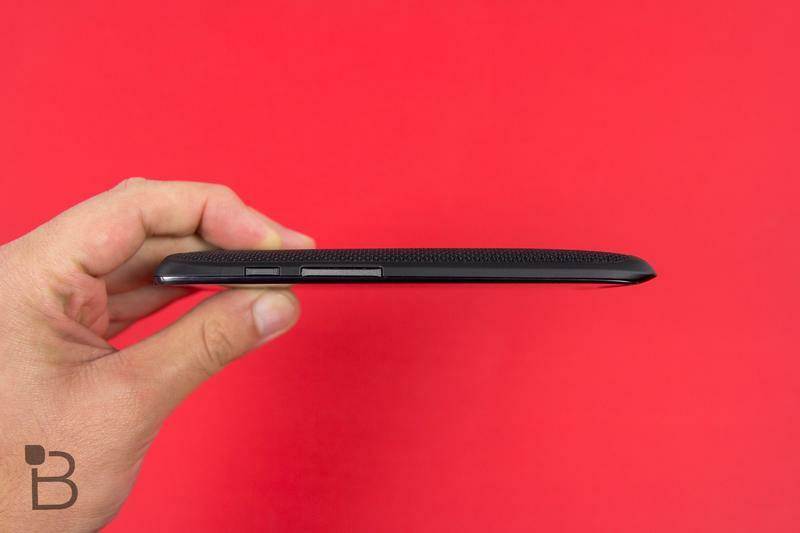 Plain, normal, average, boring—all perfectly acceptable adjectives to describe Motorola's stealthy new slab. Instead of perfectly groomed aluminum, the Turbo is more function over fashion, a device designed to serve a purpose rather than complement your wardrobe. Sitting next to a device like the HTC One (M8), the Turbo is bulky, rough. But I absolutely love it. 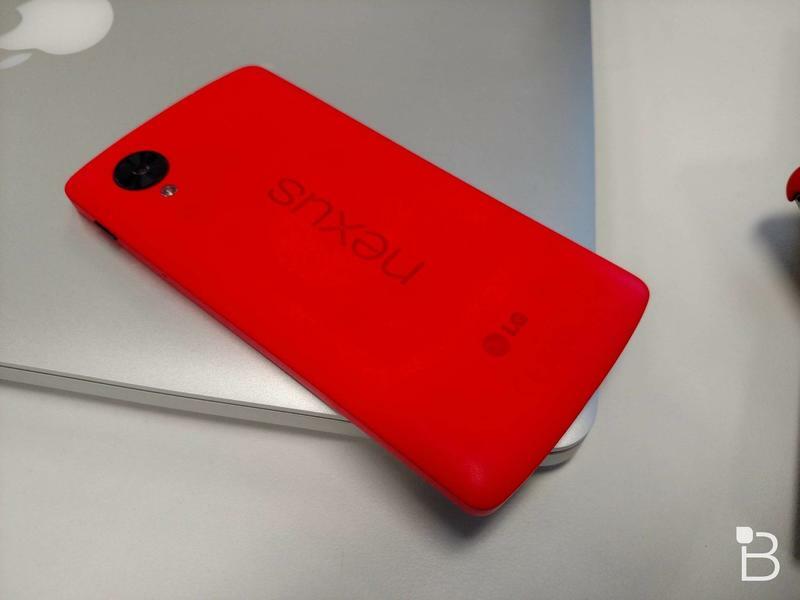 Like other Verizon/DROID mashups in the past, the predominant color scheme here is black and red. That gives the Turbo, which comes in two distinct designs, a decidedly rugged and robotic look. One of the options is a familiar fiberglass weave, though the model we received is the 64GB ballistic nylon, which is truly unlike anything we've seen before. 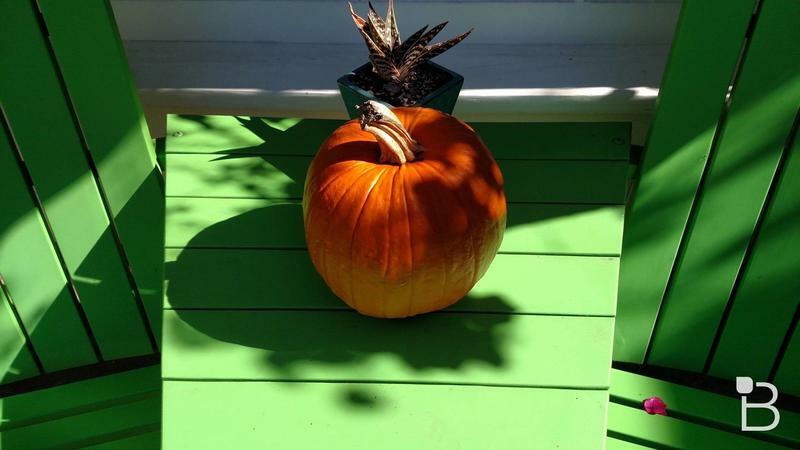 It feels like it could survive a chainsaw and come out unharmed (I can't verify that). It's definitely worthy of the DROID heritage, which started back in 2009, and I actually like something with more of a texture. (For what it's worth, I was a big fan of the OnePlus One's "sandstone black," which is probably why I particularly like the nylon.) For one, it doesn't get smeared up by oily fingerprints, and it holds up better than softer plastic. 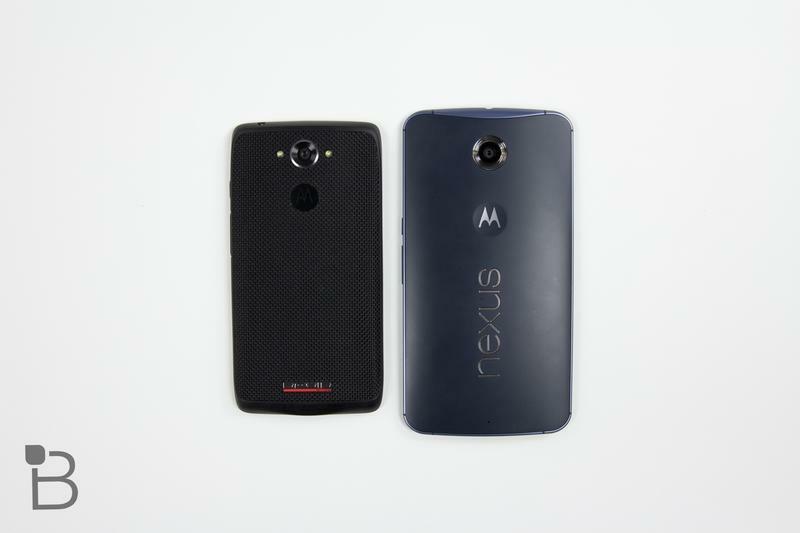 We had a heck of a time keeping the midnight blue Nexus 6 clean. Not so with the Turbo—it still looks like it did on day one. I do wonder, however, whether dirt and other grime will accumulate over time, though I haven't noticed anything so far. 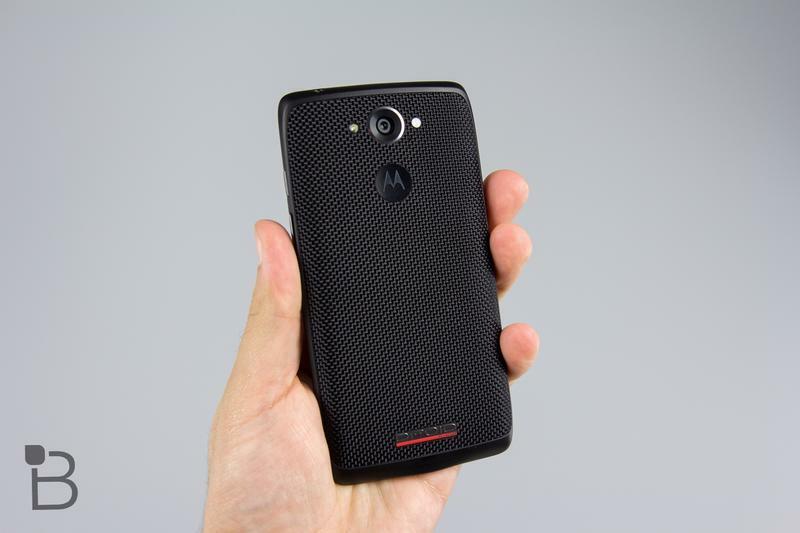 If you're familiar with the Moto X (2014), the DROID Turbo really doesn't look anything like that. It bares some of the same characteristics: a slightly rounded back, a bottom taper, and the Moto emblem on the back. 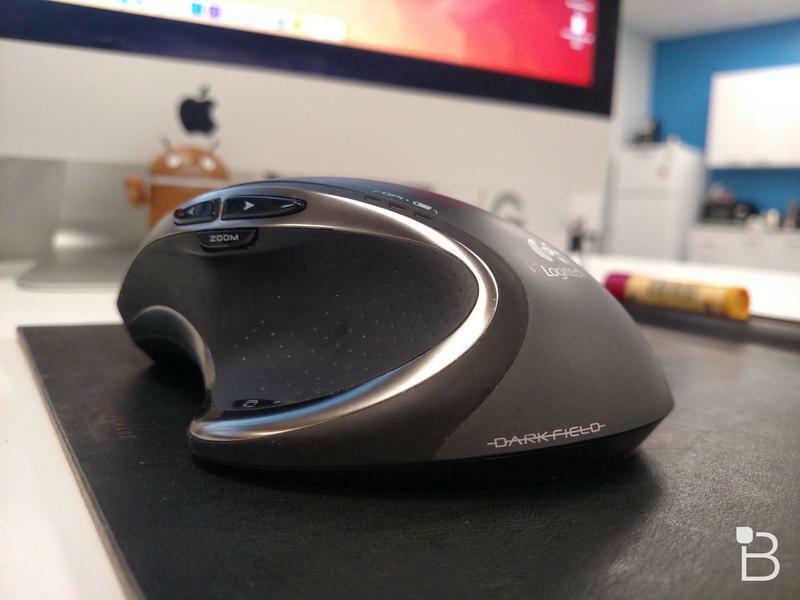 But these two devices aren't all that similar design-wise. 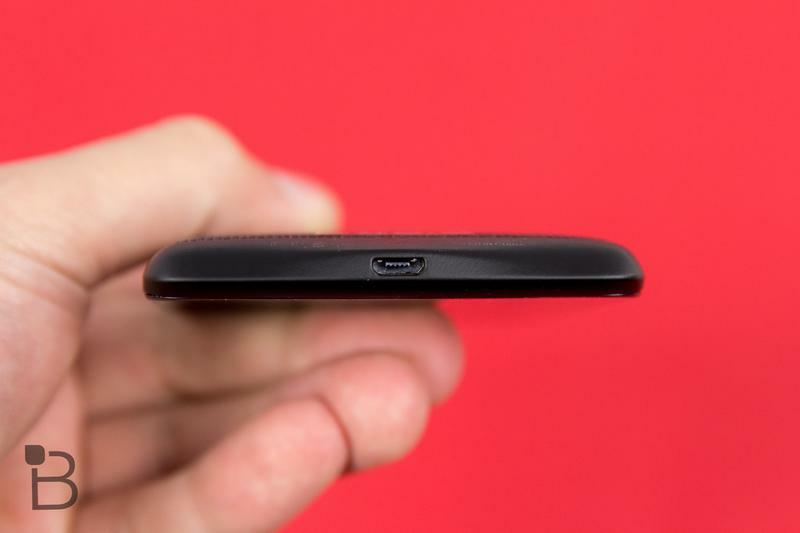 The Turbo is thicker at 11.2mm, and the screen is surrounded by a rubber trim rather than aluminum. The overall footprint isn't quite as impressive, either, since the device relies on capacitive buttons (I'm a fan of onscreen), which means the Turbo's chin is a little more elongated. 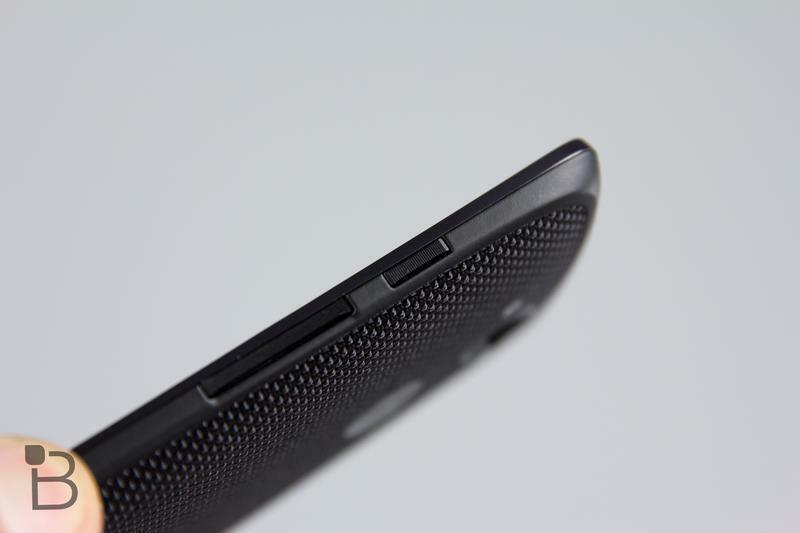 On the right side is where you'll find the power and volume buttons, made much easier to find thanks to a ridged texture; it's the same idea used by the Moto X and Nexus 6, and it makes the buttons easier to find and press without constantly searching with your finger. 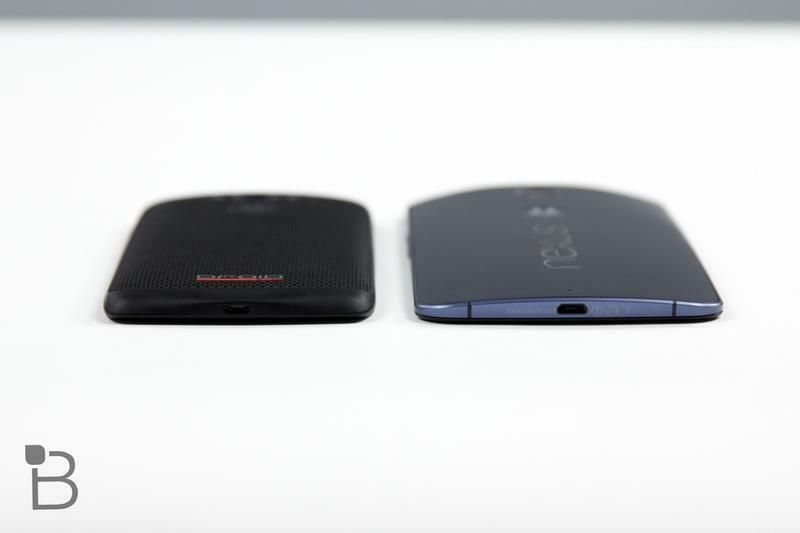 The volume rocker, though, is a little more rigid and difficult to press compared to your average device, and that's because Motorola sneakily doubles it as your microSIM tray. It took me awhile to actually figure out the device had one at all. But it can be popped out, which is a neat little trick. Like I said, it does make changing the volume slightly more difficult, but the idea works, though I'm not too sure how well it'll hold up after months and months of use. What has me particularly surprised (and impressed) with the Turbo is that it's devoid of overt branding. This is astonishing for anything Verizon, but there isn't a single swoop to be found. 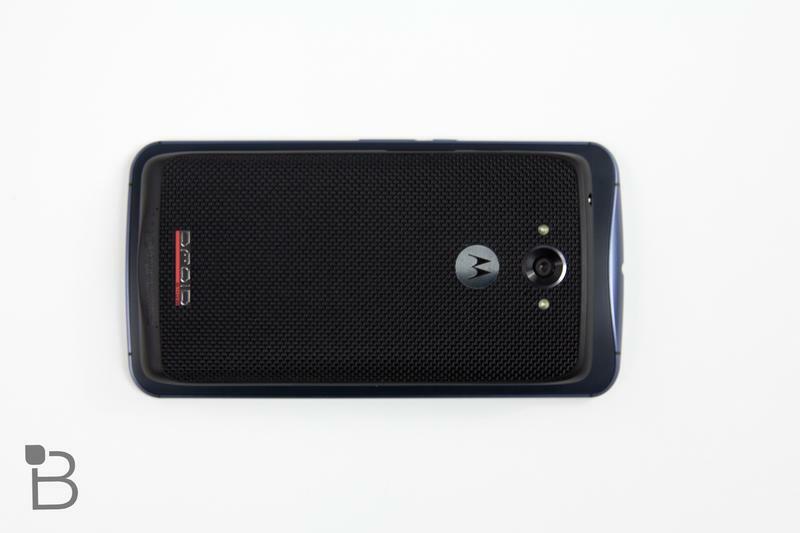 The front is bare, as it should be, while the back is adorned with a small Motorola emblem, along with a DROID logo toward the bottom. That's it. That's a far cry from Verizon logos we've seen on home buttons. As for the overall size of the Turbo, it's not as enormous as something like the Note 4, and certainly nowhere near the Nexus 6. 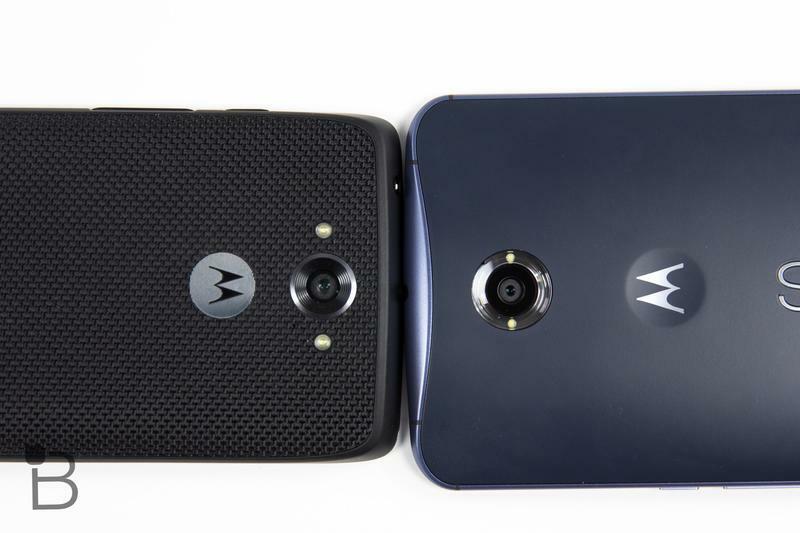 The dimensions more closely match the Moto X (2014), though it's slightly wider, taller and thicker. That's not a complaint. Just because it's thicker doesn't mean the Turbo is uncomfortable to hold. We've been conditioned to love slim phones—that's fine—but the Turbo shouldn't be skipped over just because it's a little more barrel chested. 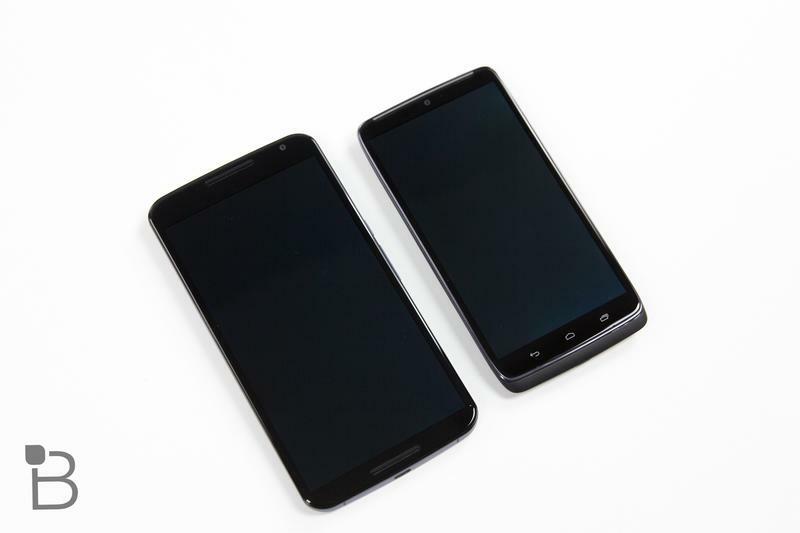 Even though the Turbo has a bigger overall footprint compared to the Moto X, it does sport the same size 5.2-inch screen, which Motorola has boosted to a resolution of 2560 x 1440 (565 ppi); that's a higher ppi count than the Nexus 6 (493 ppi), Note 4 (515) and G3 (534). That's due, of course, to the fact that the Turbo has a smaller display than all of the devices mentioned, and it also means your eyes will well up with tears of joy. The thing is that sharp. With such a crisp display, content looks pretty phenomenal. YouTube, Netflix, and any other form of video looks brilliant. Colors are vivid, while text is incredibly sharp and defined. There's no fuzziness here, and it's made all the better by some supreme viewing angles. But for how terrifically sharp the display is, your experience watching video (or streaming music) isn't all good. Unfortunately, the Turbo's single front-facing speaker, which rests on the top of the device, doesn't belt out the best audio quality. 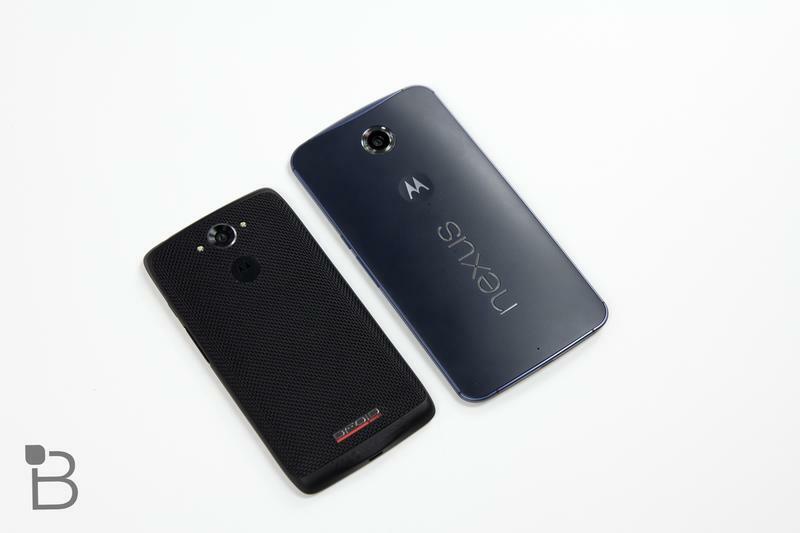 I wouldn't say it's awful—no worse than the Moto X, which employed the same design—but when there are phones like the Nexus 6, or even the One (M8), it leaves a lot to be desired. Front-facing is a start, but it's only halfway good. 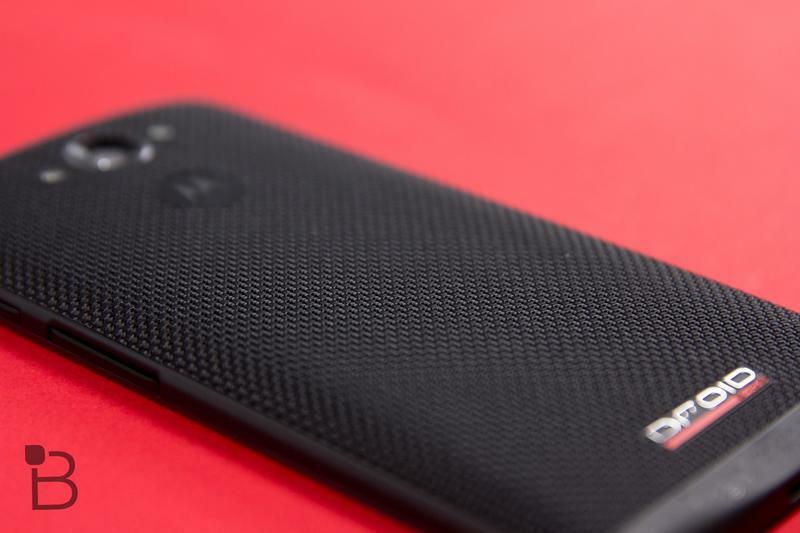 Even the Moto G, the budget phone that has already won over the world, has dual front-facing speakers. Imagine that. I mean, you'll be able to hear that episode of Constantine just fine. 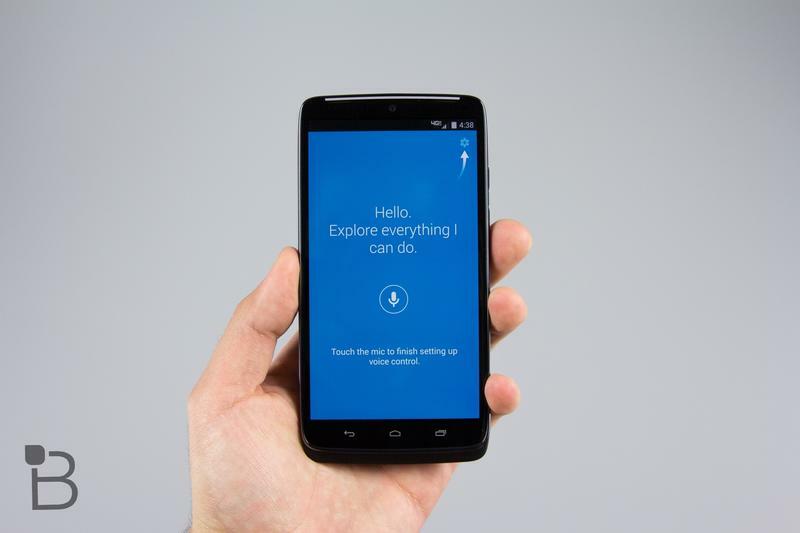 But it would sound so much better coming from the Nexus 6. Audio ultimately sounds unfulfilled, tinny. I'm not an audio snob by any means, but even I can appreciate the superior technology of a dual front-facing layout. It won't win any beauty contests, but the Turbo's rugged nature serves a purpose. The ballistic nylon, which was originally developed for military use, adds a texture and richness, while the 2×2 weave gives it a durability that gives you the impression it could withstand a charging bull. The thing is water repellent, too, so you needn't worry if you get caught in a flash flood. 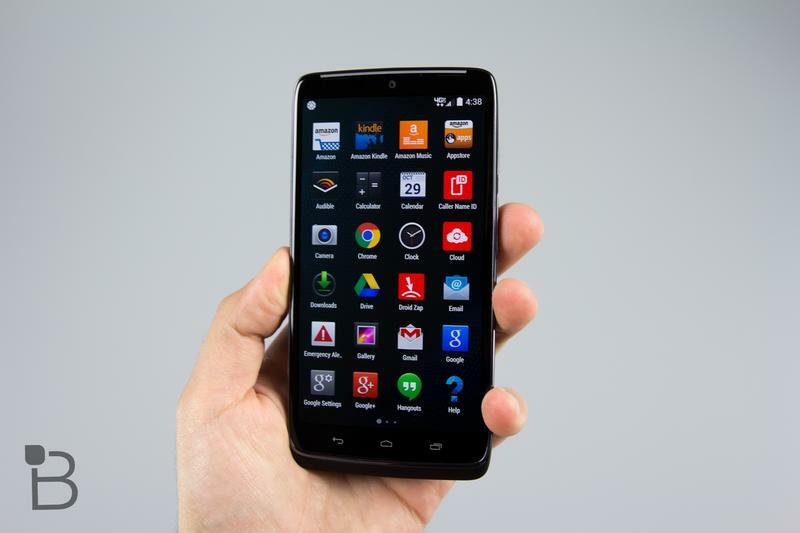 Like any Motorola smartphone I've used this year, the Turbo is exceptionally quick. Even with such a high resolution display, the device's 2.7GHz quad-core Snapdragon 805 processor and 3GB of RAM keep the phone chugging along like a world-class sprinter. That's helped by the Turbo's vanilla software, giving users the peak performance a phone like this deserves; a dragster like the Turbo isn't hampered down by the excess of manufacturer experiments, and customers ultimately benefit. What software is there—Moto Voice, Moto Assist, Moto Display and Moto Action—is the best in the biz. I've talked at length about Motorola's great software augmentations already, so if you want more information you can hit up the Moto X (2014) review; I don't have much to add. 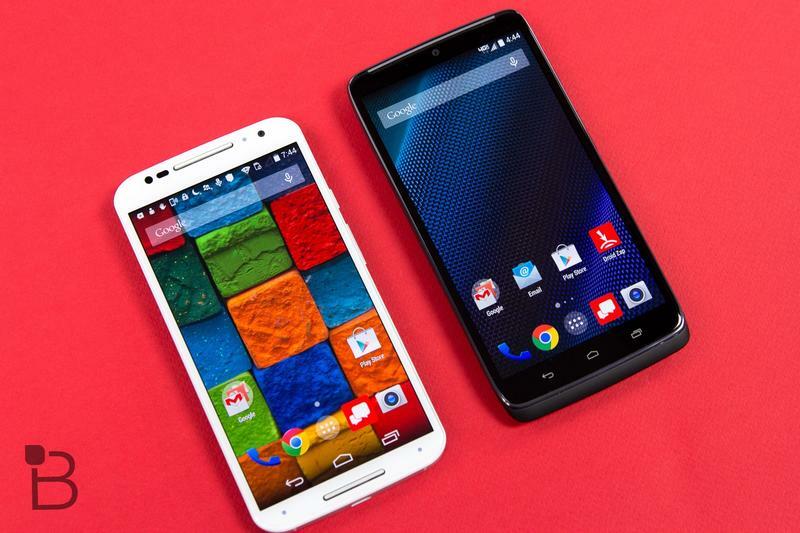 Suffice to say, if you liked what the Moto X had to offer, you'll adore the Turbo. There is some Verizon bloat, as there always is with carrier devices, but that stuff can be ignored (or not, because Verizon's Zap is actually marginally useful and fun). I will say, however, that Moto Display can definitely use some fine-tuning now that I've used the Nexus 6. 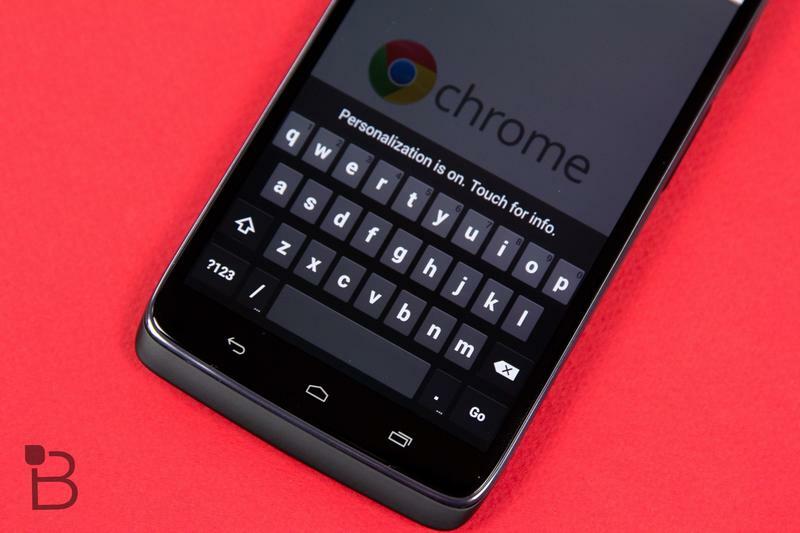 In Lollipop, Google has introduced something called Ambient display, which is executed similarly to Moto Display. The difference is that with Google's implementation, you get to see every notification that's sitting on your lock screen, while Moto Display will only show the three latest. The feature is still terrific on the Turbo, and makes something as mindless as peeking at the time that much better. But there is room for improvement. You should know by now that Motorola phones offer the best user experience of any smartphone available—at least for the average user. Tweaks like Moto Voice and Moto Assist are especially helpful when driving, while Moto Actions makes the Moto Display feature more powerful. There's also a neat feature called Attentive Display, which keeps your screen on so long as you're looking at it. 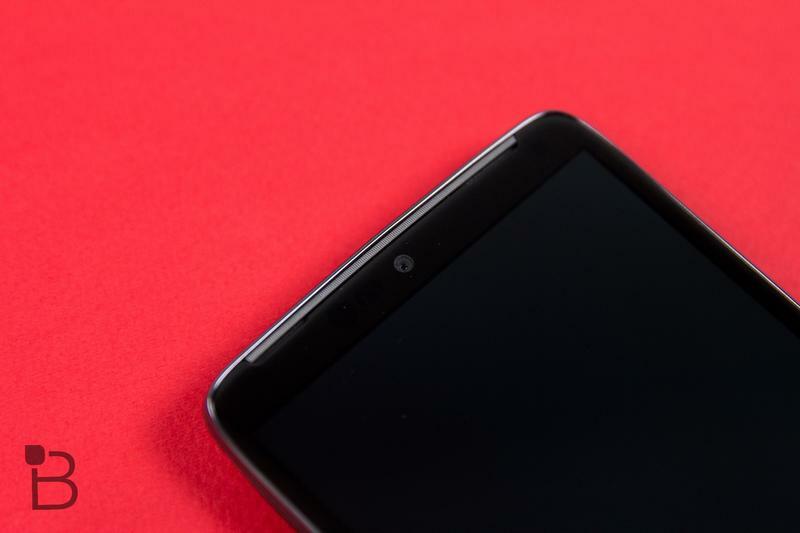 By using built-in IR sensors and the Turbo's front-facing camera, the phone is capable of determining whether or not it has your attention, and will act accordingly; if you're not looking at it, it will go dim; if you are, it will stay lit. It's honestly hard to use a phone without any of these tweaks, which is a testament to Motorola's ability to build smart, thoughtful software. 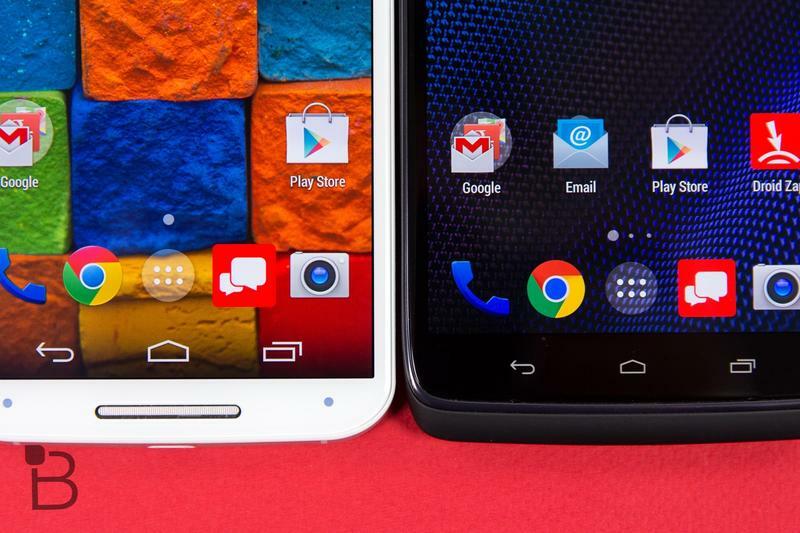 It's why we feel Motorola offers the best lineup at the moment. The Turbo sports a 21-megapixel shooter, which produces some excellent photos in normal lighting conditions. Most phones do nowadays, including Motorola's own Moto X, which is comparable to the pictures you'll see Turbo spit out. 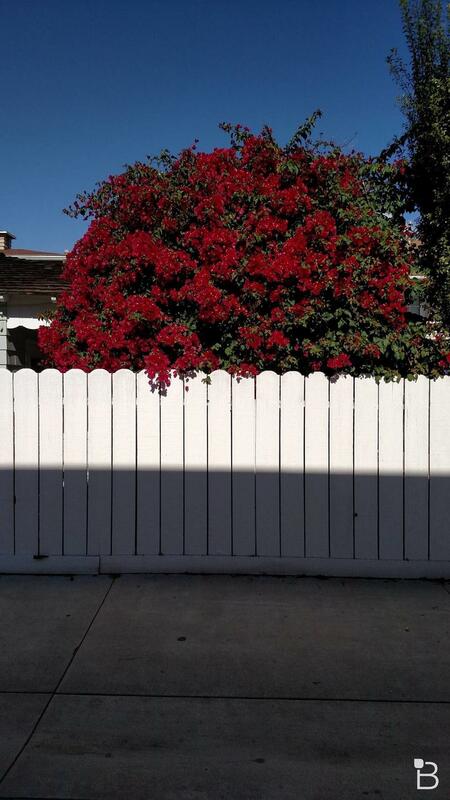 The two are pretty close, actually; color accuracy is about the same, photos are sharp and exposure is even. The Turbo's auto-focus is plenty fast, though we did notice the shutter does take a beat too long. That can pose a problem when snapping photos of a particularly rambunctious puppy—an issue made more apparent by the lack of OIS. 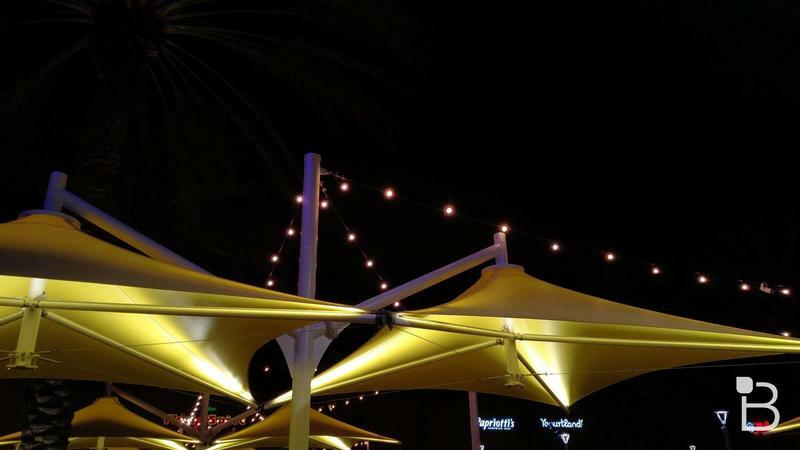 In low light, the Turbo manages to outperform the Moto X, but only just—photos are less noisy, and images are slightly brighter overall. 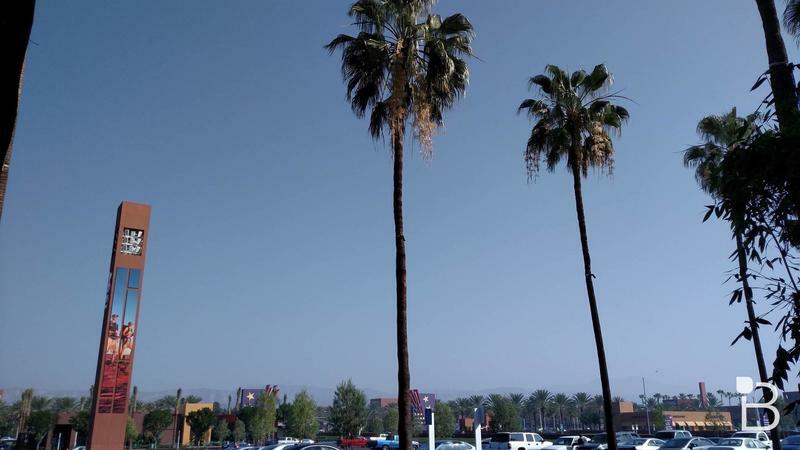 Motorola phones have come a long way in the camera department, and the Turbo definitely keeps pace with the company's recent bump in quality. Like the Moto X, you won't quite get the quality produced by a Samsung, Nokia or Apple phone, but Motorola isn't that far behind. And similar to the Moto X, the software is just about identical; camera software is minimalist and easy to use, giving you just enough tools to get the shot you want. 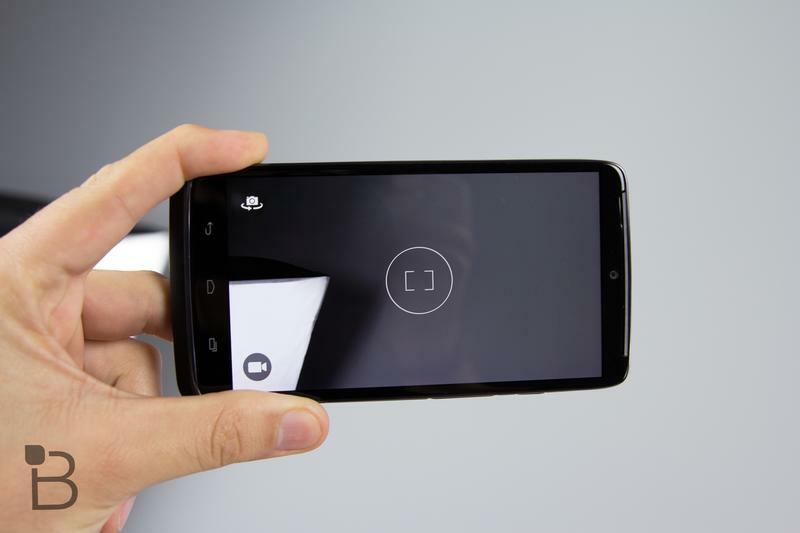 Tap a button and you'll quickly switch over to video, which the Turbo can now record in 4K. You can also tell the device to "take a selfie," while a Highlights feature will create fun highlight reel if your images, which can easily be shared with your contacts. Overall I'd say the Turbo's camera is good, but not amazing. The dual LED flash is a nice change of pace from the Moto X's (and Nexus 6's) ring flash, and mostly does a decent job at evenly lighting subjects. Smartphone camera flashes are always good and make people look like aliens, but the Turbo's isn't bad at all. This is the Turbo's headlining feature, and a big reason that makes the device so appealing to begin with. Most flagship phones sport batteries in the mid to high 2000mAh range, whereas the Turbo comes equipped with one that's 3900mAh. For context, the iPhone 6's battery is a paltry 1810mAh by comparison. The Turbo trumps just about everything on the market, and edges ever so close to some small tablets. If this is what we get in exchange for a slightly thicker phone, I'm all for it. 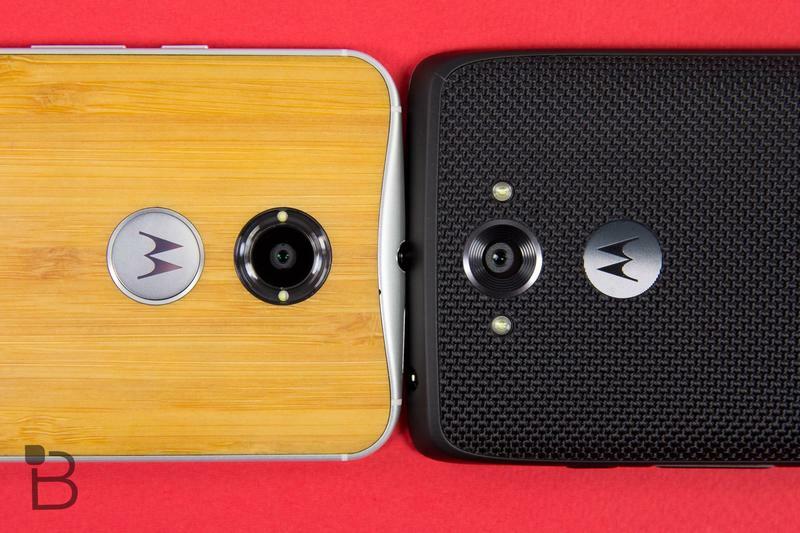 The thing about the battery, however, is that it doesn't quite live up to Motorola's 48 hour promise. You'll definitely get plenty of mileage—I'm talking hours and hours of browsing, picture taking, video watching, game playing and (gasp) reading. But it might visit the almighty outlet more frequently than expected. Not enough to call the battery a disappointment by any means—far from it. But don't expect to go on a weekend trip without a power source at the ready. Unless you plan on roughing it in the great outdoors for days on end, the Turbo should more than meet your needs. With moderate use, I was able to push through a few work days no problem. But when I really put it to the test, I got about a day and a half, maybe a little less. I never use a phone the same way twice, so my usage definitely differed from one day to the next; Sunday was particularly music streaming heavy, while Monday was mostly snapping photos, emailing and recording audio. Nothing unusual. In the end, the Turbo's battery is better than the competition, but you have to wonder if maaaaaaaayybe it would have been better without a 2K screen. 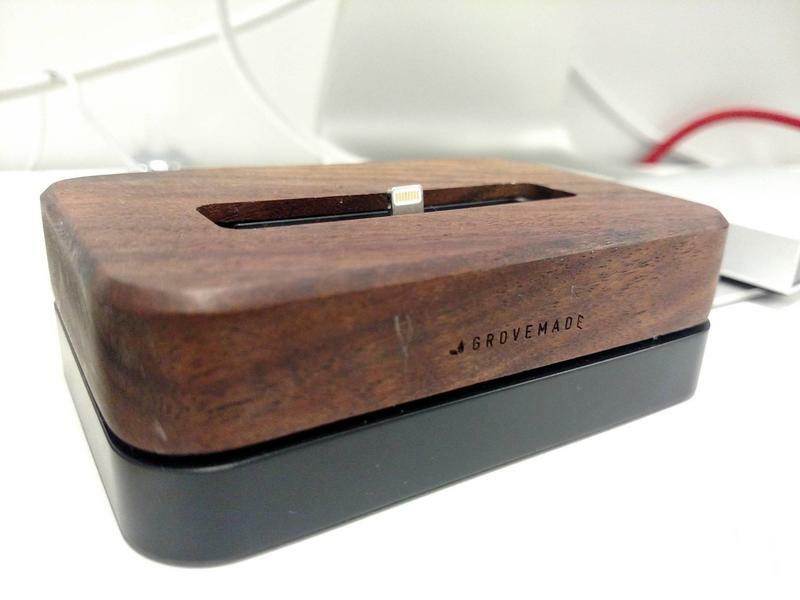 If you do find yourself in a pinch, the device supports turbo-charging technology, which promises to get you 500mAh in about 15 minutes with a 15W Turbo Charger. As I said in my Nexus 6 review, the addition of turbo-charging is certainly welcome, though don't expect it to reflect Motorola's claims exactly. The company says you should get about 8 hours in 15 minutes, but in reality you'll probably get about six hours. 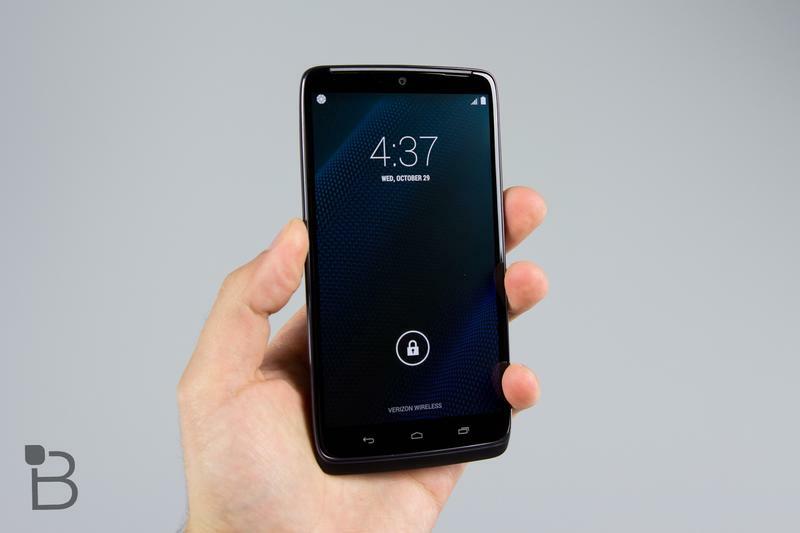 Nothing to scoff at, but below Motorola's promise. 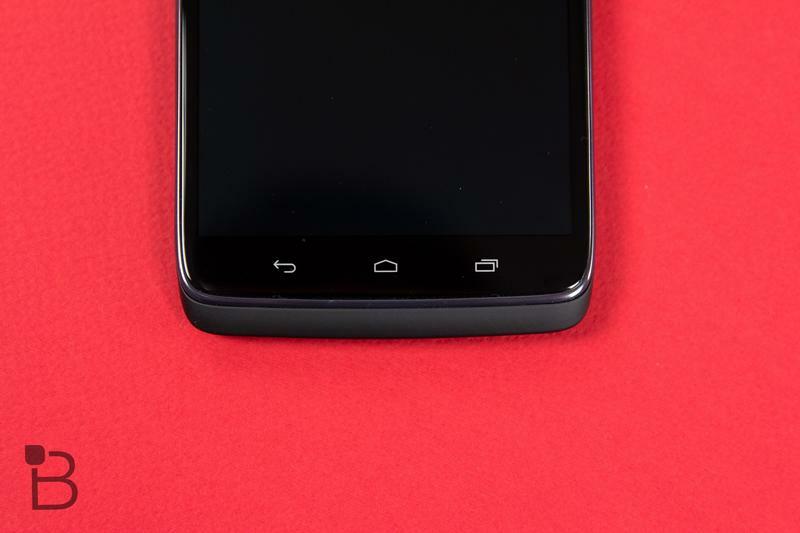 Motorola claims all battery suggestions are based on a number of factors, such as signal strength, network configurations, operating temperature, device settings and many more. That's a lot of different factors that frankly people shouldn't have to tip-toe around just to achieve a number that seemed like a stretch to begin with. 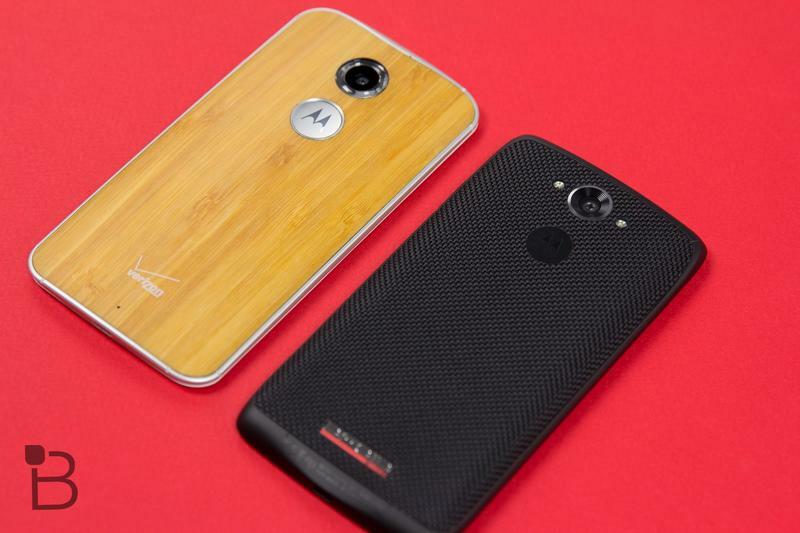 The DROID Turbo is a more powerful version of this year's Moto X, though some people might be put off by the design. 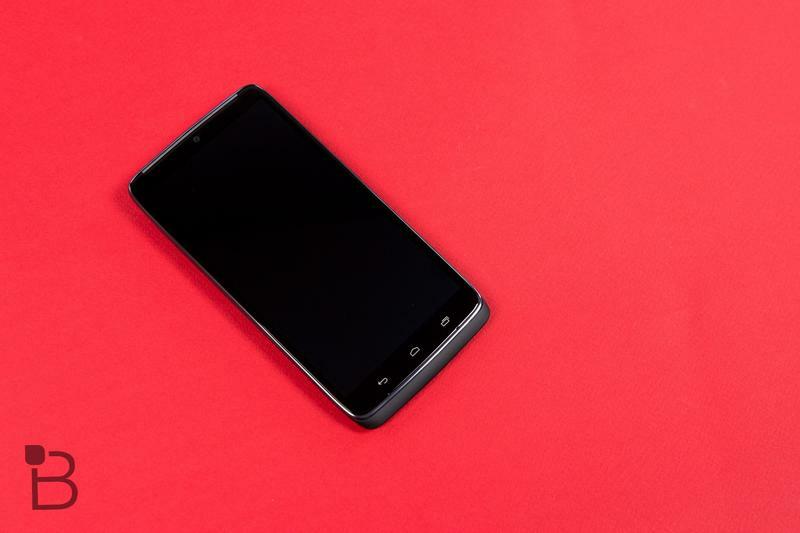 The DROID Turbo is a utilitarian alternative to Motorola's flashy Moto X. And, frankly, I think it's ultimately the better option because of its higher end specs. You don't get to take advantage of something like Moto Maker, though the bulkier design does accommodate that huge 3900mAh battery, and you get an eye-pleasing 2K display (along with Motorola's awesome software). And it's not like the Turbo's design is bad—I happen to quite like the nylon back, thank you very much. The only problem is that the Turbo is a Verizon exclusive, making it less accessible than the Moto X (and the iPhone 6, Galaxy Note 4 and even the Nexus 6.). Carrier exclusives are never a good deal for consumers, and it's a darn shame that that fate has been forced upon the Turbo. 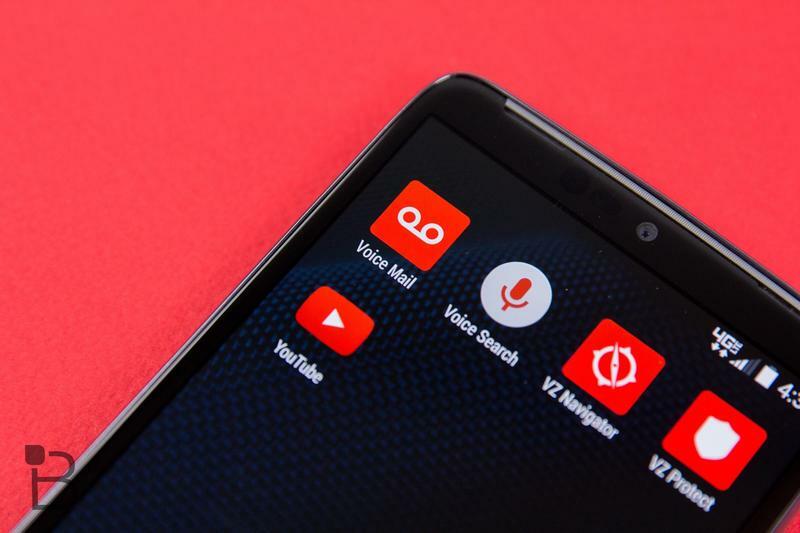 If you are on Verizon, however, you get a powerful, rugged, gutsy phone that doesn't care about winning any beauty pageants; it's just fast, powerful and to the point. 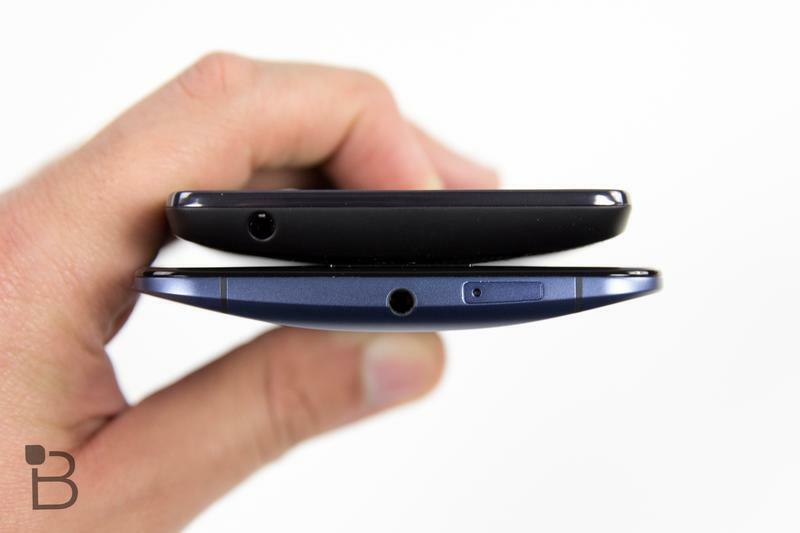 I'm not alone when I say the Turbo sets an example for the next generation of ultra-phones. Thin is cool and all. But hit the gym, bulk up a little, and give people larger batteries. If that's one of your top criteria in a phone, the Turbo definitely deserves a spot in your pocket. 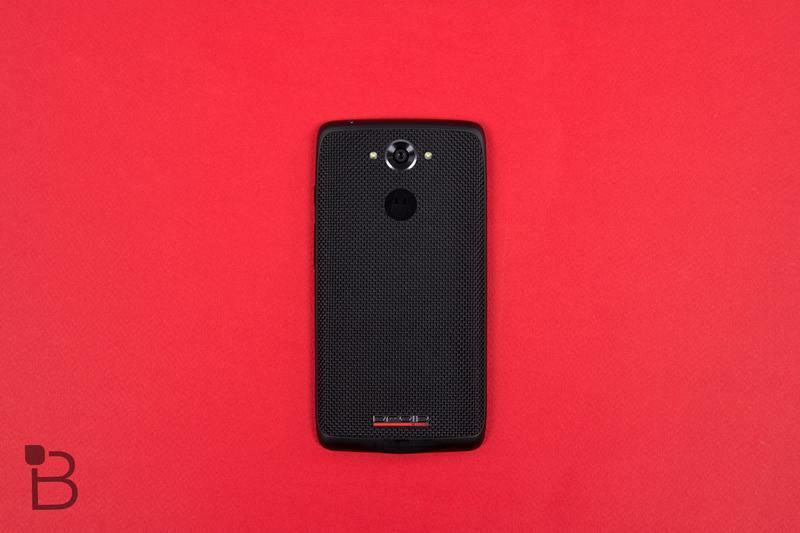 Mark used the DROID Turbo for a total of ten days before beginning his review. Brandon used the device for five days.